Need A Personal Guide ? Monteith Salmon Fishing Services is Scotland’s leading quality assured provider of both guided salmon fishing and unguided salmon fly fishing in Scotland. 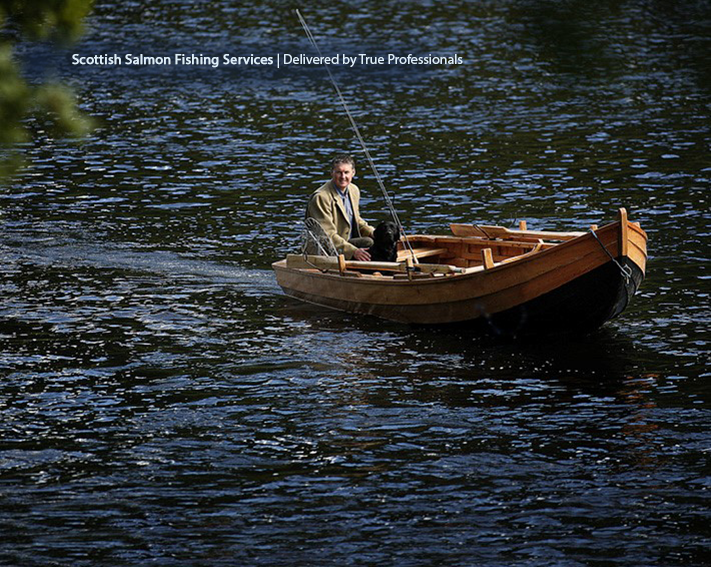 This service covers Scotland’s famous salmon rivers namely the rivers Tay, Dee, Tweed & Spey and only engages the very best ‘time served’ professional salmon guides paired up with productive and well managed salmon fishing venues. Jock Monteith has built a 'unique' reputation in this industry as a professional salmon fishing guide, salmon fishing TV celebrity, River Tay salmon habitat improvement pioneer & salmon fishing equipment designer. Click here for more information on Jock Monteith’s 'exceptional' Scottish salmon fishing track record. The Jock Monteith Salmon Fishing Guide Service provides a one stop shop for your entire Scottish salmon fishing trip inclusive of dedicated professional salmon guides, salmon fly fishing equipment supply, Speycasting & salmon fishing tuition, accommodation advice and airports transfers. Riverbank catering can also be provided along with a guided salmon fishing gift voucher service.